Who doesn’t like a good booklet? 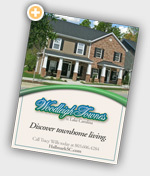 Quality booklet printing will help sell your company’s image, services, and deliver a powerful message. Booklet printing will bring your products or services to life. For your next booklet printing project, turn to the professionals at PrintHouse(45) to get the job done right. We make printing booklets easy!